Urukundo Learning Center started because David, our first toddler, did not appreciate the preschool we found for him. He refused to return to the school because it was full of “cry babies and no teaching” David was our inspiration. 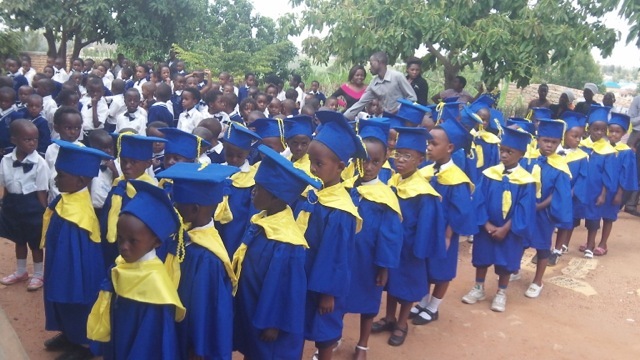 Graduation is special at Urukundo. Our graduation is for Kindergarten, Primary 6 and Sewing Center. This is unique in Rwanda school system. Urukundo Learning Center was established to provide education for LOW and NO income families. Every child has the right to be all that he or she can be and education is the tool to make that possible. The Learning Center was built one grade at a time, One classroom at a time as the need presented itself. It has been in process for 7 years. Our first Kindergarten students will complete Primary 6 this year and take the national exams.